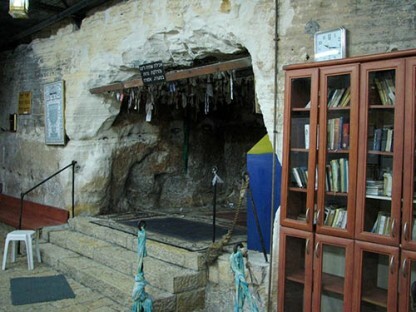 The entrance to the Cave of Elijah the prophet within a larger sanctuary. Photo: Hanay’s image is licenced under CC BY-SA 3.0. The Cave of Elijah the Prophet near the modern Israeli city of Haifa now faces the threat that its inscriptions may be defaced or destroyed by modern visitors who crowd into it daily, reports Ha’aretz. Elijah in the Bible played a central role in the enforcement of orthodoxy in the single worship of Yahweh, performing miracles that show the power of Yahweh. In ancient times, what is now called the Cave of Elijah the Prophet was a place where believers practiced the cult of the pagan god Ba’al. The cave later became the site where Elijah was said to have rested before his bloody showdown with the prophets of Ba’al. From the Byzantine period on, the Cave of Elijah the Prophet was a stopping place and sanctuary for pilgrims and travelers who carved their inscriptions into its walls. The Cave of Elijah is a large natural cavern in a sloping rocky outcrop at the foot of Mount Carmel, 131 feet above the sea, on the west side of the modern Israeli city of Haifa. Its limestone walls were carved in ancient times to suit its cultic purposes and smoothed by countless hands in the centuries since then, enlarging it to its current size, so that its floor is about 28.5 by 47.5 feet, and the ceiling is about 15–16 feet high. Benches and other features were carved from the limestone in antiquity. According to Ha’aretz, Prof. Ovadiah says that he thinks a carving in the cave and the foot from a massive stone statue found in a monastery garden above the cave may be images of the Carmel Mountain Range deified as “Ba’al Carmel,” a form of the god worshipped in this area up to the reign of Ahab, King of Israel in the ninth century B.C. Ovadiah told Ha’aretz that later on, worship of Ba’al might have been replaced by worship of others deities. One of the carved menorahs adorning the walls of the Cave of Elijah. Photo: Prof. Asher Ovadiah. According to tradition, Elijah stayed in the cave just before his confrontation with the priests of Ba’al during the reign of Ahab. Scholars believe that it was in the Byzantine period (fourth–sixth century A.D.) that worship of Ba’al in the cave was replaced by veneration of Elijah, and the cave became a place sacred to Elijah and a stopping place for his followers. 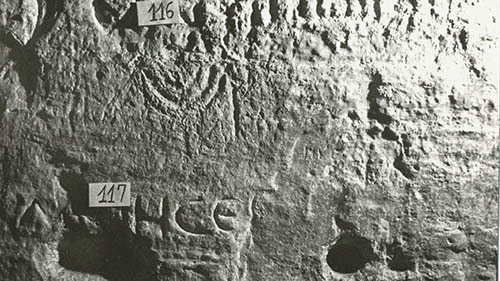 Archaeologists and epigraphers have analyzed the cave’s inscriptions, and they believe that some of the inscriptions appeared as early as the Roman period, if not even earlier. 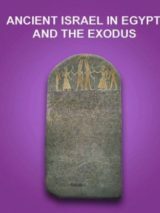 Professor Ovadiah made an exhaustive study of the inscriptions in 1966 as a staff member of the Israel Department of Antiquities and Museums to identify and interpret them in a methodical way. There are about 227 religious inscriptions (almost all in Greek or Hebrew), which are a testament to the cave’s function as a pilgrimage site for the last 2,000 years. Two well-known inscriptions carved into the northern face show seven-branched menorahs. The Cave of Elijah Inscriptions under Threat? According to Prof. Ovadiah, the inscriptions, left by visitors over the centuries, are at risk of being lost to history—at the hands of today’s visitors. Prof. Ovadiah does not specify the precise nature of the threat to the inscriptions, which are covered by layers of grime, soot and candlewax, and many of which have been covered over with pictures of rabbis and are therefore hidden away. However, most of the inscriptions appear in the wall at a height most people can reach, and therefore they can be erased, written over or otherwise destroyed by any visitor at any time. There have been calls for conservation measures to be taken, and local officials are hoping something can be done soon to help protect the inscriptions. However, this will require action by the Holy Sites Authority, which is directly responsible for the Cave of Elijah, and while the Authority does have plans for conservation measures, these will require funding and that will take time. Who was Elijah the prophet? In the Biblical tradition, Elijah is said to have lived at the time of King Ahab in the ninth century B.C. and to have been a fierce opponent of the worship of the Canaanite god Ba’al introduced into Israel by Queen Jezebel. In the Hebrew Bible story, Elijah the prophet tells the apparently fickle Israelites that they can choose to worship either Ba’al or Yahweh, but that they have to pick one. A slaughtered bull is placed on the altar for each of the two gods. Elijah then challenges Ba’al’s prophets to exhort their god to light their altar, which Ba’al fails to do. When Elijah makes the same request of Yahweh, Yahweh sends down a great flame from heaven which consumes his offering, thus showing the power of Yahweh. Elijah then slays all of Ba’al’s prophets (1 Kings 18:21–40). Later on, Elijah uses these same powers twice to call down heavenly fire on soldiers of Ahaziah, son of Ahab (2 Kings 1:9–12). At the end of Elijah’s time on Earth, a flaming chariot descends, and Elijah is gathered up to heaven by Yahweh, a dramatic scene that recalls Yahweh’s fiery acceptance of Elijah’s offering in his confrontation with Ba’al’s prophets, as well as the battles with Ahaziah’s soldiers. At Elijah’s death, his powers are transferred to his successor, Elisha, who also devotes them to securing allegiance to Yahweh alone (2 Kings 2:11–15). Recreation of a Passover Seder by the author. In this image, Elijah’s place is at the head of the table with the painted Cup of Elijah bearing his name in Hebrew—Eliyahu—filled with wine. Photo: Henry Curtis Pelgrift. Along with his role in the Biblical tradition, Elijah holds a place of great respect in Judaism. He was considered a masterful arbiter in his time and was often called upon to settle disputes in areas of Jewish law. In fact, it was common practice that when rabbis could not agree on an issue, they would put it aside and say it would to be settled when Elijah comes. In the practice of Judaism, Elijah’s most vital role after his death is to herald the coming of the Messiah. 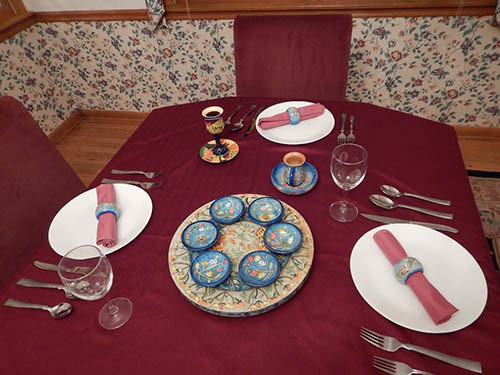 This is predicted to occur on Passover, and at the Passover Seder, a place and a dedicated cup of wine are left for Elijah at the table, and the door is left open to welcome both At the end of the Jewish Sabbath, a prayer is said expressing the wish that Elijah will return during the coming week. Elijah’s importance in Christianity is shown when he appears with Moses in the three Synoptic Gospels in the New Testament (Matthew, Mark and Luke) to witness the “Transfiguration” of Jesus, in which Jesus’ appearance is transformed to demonstrate to three of his apostles that he is divine. The Cave of Elijah is a holy place for several religions in addition to Judaism. For example, a Greek cross was carved in the wall, probably by Greek Christians, centuries ago, and there is evidence of visits to the cave over the centuries by Muslims and Druze (an Abrahamic group who claim descent from Moses’ father-in-law, Jethro). In June 2014, another cave of Elijah, located in Jobar, Syria, and connected to the synagogue there, was in danger of destruction, according to The Jerusalem Post. The cave was all that remained after continuous government shelling, other than an antechamber and part of an adjoining synagogue wing. Update, September 28, 2015: A previous version of this article included a photo that erroneously identified a statue of Elijah at a Christian shrine within the cave. Henry Curtis Pelgrift received his M.A. in Mediterranean archaeology from University College London in 2014 and his B.A. in archaeology from The George Washington University in 2012. He has excavated at Tel Kabri and Tel Megiddo in alternate summers since 2009 and has also dug in Italy, Jordan and Cyprus. Henry’s picture appeared on the cover of the January/February 2014 “Dig” issue of BAR. 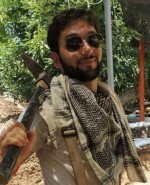 He is currently a volunteer in the Arms and Armor Department at the Metropolitan Museum of Art in New York. 1. Asher Ovadiah and Rosario Pierri, “Elijah’s Cave on Mount Carmel and its Inscriptions,” in L. Daniel Chrupcala, ed., Christ is Here! Studies in Biblical and Christian Archaeology in Memory of Michele Piccirillo, ofm (Milan: Terra Santa, 2012), pp. 29–76. “The Second Coming of Elijah and Enoch,” Bible Review, April 2003. Herbert W. Basser, “The Jewish Roots of the Transfiguration,” Bible Review, June 1998. “The Transfiguration according to Matthew,” Bible Review, June 1998. “Elijah Flees to Sinai (Horeb) and Yahweh Silently Appears (1 Kings 19:1–3, 8–12),” Bible Review, October 1992. Jerome Murphy-O’Connor, “What Really Happened at the Transfiguration?” Bible Review, Fall 1987. Jerome Murphy-O’Connor, “The Three Parallel Accounts of the Transfiguration” Bible Review, Fall 1987. Gary, What you describe theoretically is systematized biblically in Christian teaching as Father and Son and Holy Spirit. The pre-incarnate Christ, is the Shekinah, the guiding Presence that leads, protects, and fights for Israel and early on is the Lord who comes to Abram and earlier yet, part of the Creating in Genesis 1, along with the Spirit. Of course, Jesus is not the spiritual mother but the Son of God, given as the Son of man, born of the Virgin Mary. This isn’t the Cave of Elijah. The Cave of Elijah is by Mount Horeb in Saudi Arabia. The cave of Elijah is on the “mountain of God” in Saudi Arabia, not in Israel. Ron Wyatt discovered it in 1979. There are pictures of it on his website; wyattarchaeologicalresearch.com. In context, YHWH / YHVH is an aspect of Hashem / Ha Shem. It is a more limited, ancient context; masculine; a warrior; an active principle in the physical world, like Ba’al, or even the ubiquitous, generic, El, but even more so. YHWH, conceptually, is the counterpart to the feminine Shekinah. The Presence is more passive; less heard; the small whisper. The Presence is rooted more within the Spirit, and thus, is less overtly active in the physical world. One counterbalances the other; both, contain aspects of one another; both, include the other. Both are comprehensible aspects of the Nameless Unknown; Facets of the Jewel, if you will. The omnipotent YHWH is an intellectually graspable, ancient concept of Hashem; understandable to peoples leaving physical polytheism, and animism, and anthropomorphism behind. The omnipresent Shekinah is the next big step, as this concerns the underlying, hidden Spirit of things; the omniscient Hashem is the next step. Think of YHWH Spiritually as Father, and Shekinah as Spiritual Mother. In the physical world, those two roles are somewhat reversed; Shekinah occupies physical space below, like a receptive clay vessel; YHWH provides the unseen Spirit, like a descending, condensing cloud. All are contained within Hashem. All of this is, of course, an oversimplification. These three conceptualizations still fall far short of a full realization of All That Is; but they are steps that men must take, along the Way. Tom, thank you very much for bringing this to our attention. The photo has been removed. The above photo caption, “Elijah the prophet as depicted at the Christian shrine within the cave”, is totally off-base and sadly typical of the sloppy research and editing of BAR on-line. The place pictured is actually the grotto of the Stella Maris Carmelite monastery church on the western promontory of Mt. Carmel, a few hundred yards distant from the site in question. See here: http://www.biblewalks.com/Sites/CarmeliteMonastery.html#Cave. I mean, did someone actually think that Israel’s Holy Sites Authority would allow a Christian shrine within “their” cave?? Elisha Succeeds Him. In harmony with Elijah’s action in appointing Elisha years earlier, the time comes when Elijah must transfer the mantle of this prophetic office to Elisha, who has been well trained. This takes place during the rule of Ahaziah’s successor, his brother Jehoram of Israel. At that time Elijah goes to Bethel, from there to Jericho and down to the Jordan, Elisha sticking close to him all the way. There Elisha is rewarded for his faithfulness by seeing a fiery war chariot and fiery horses and Elijah ascending in a windstorm to the heavens. Elisha takes up Elijah’s official garment that had fallen off him, and “two parts” (like a firstborn son’s portion) in Elijah’s spirit, a spirit of courage and of being “absolutely jealous for Jehovah the God of armies,” come on him.—2Ki 2:1-13; 1Ki 19:10, 14; compare De 21:17. It’s a shame that people have no respect for history.